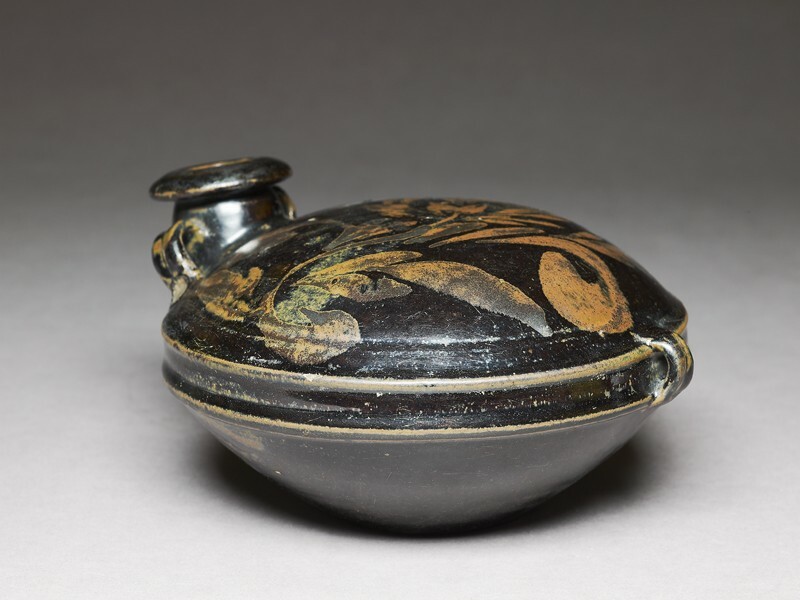 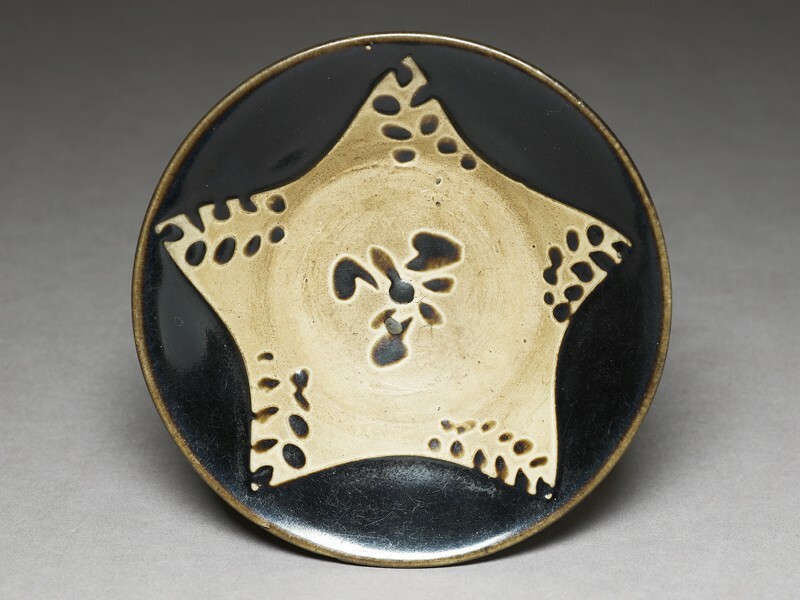 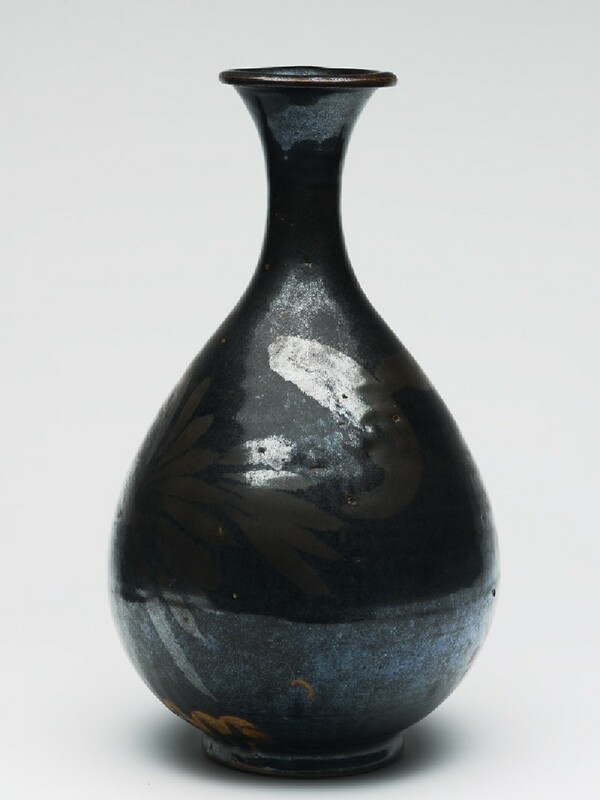 The decoration on black wares is the most adventurous amongst early ceramics. 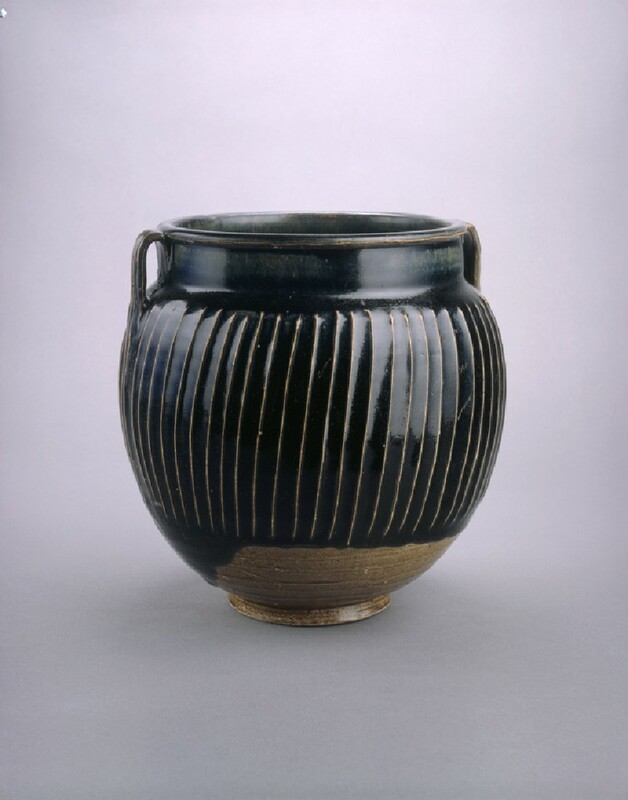 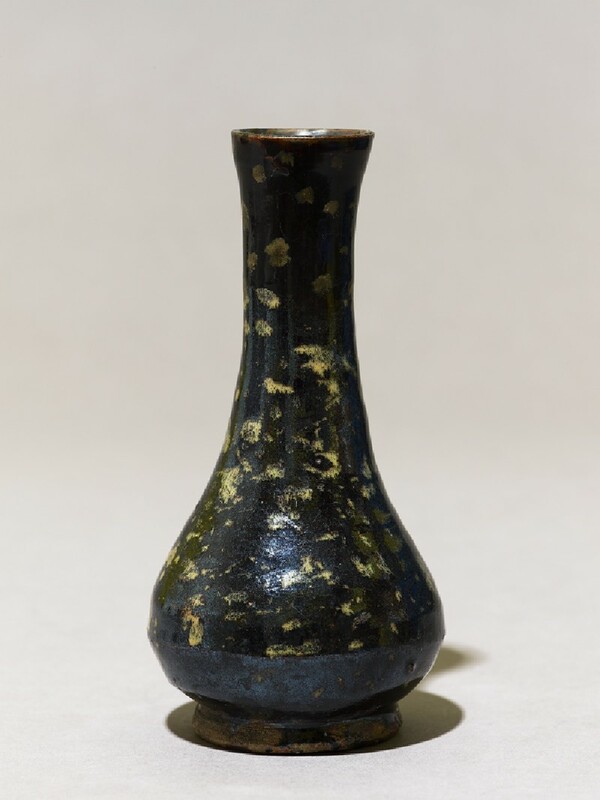 Iron glazes of contrasting colours gave striped, splashed, spotted or pictorial effects. 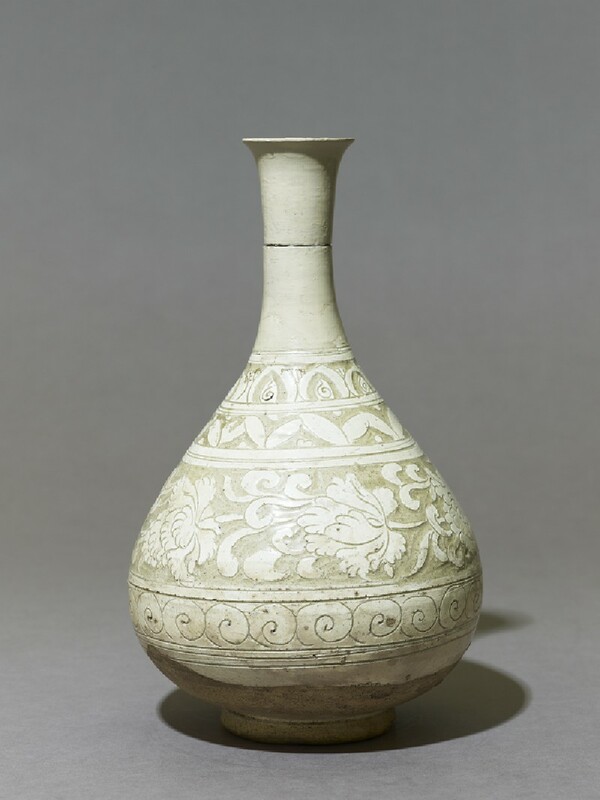 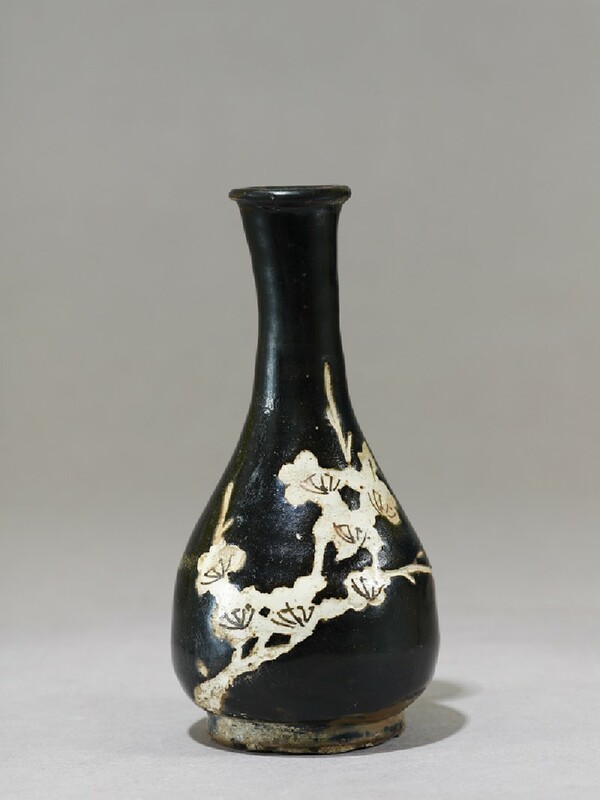 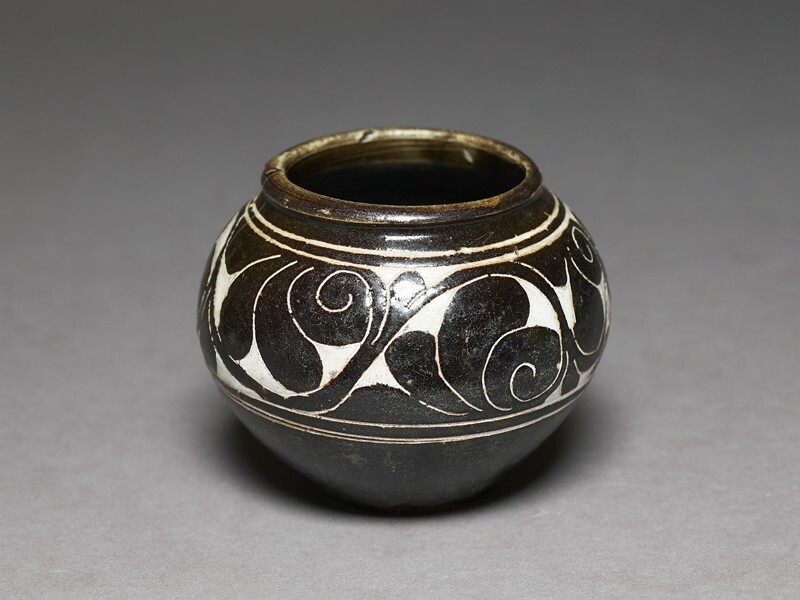 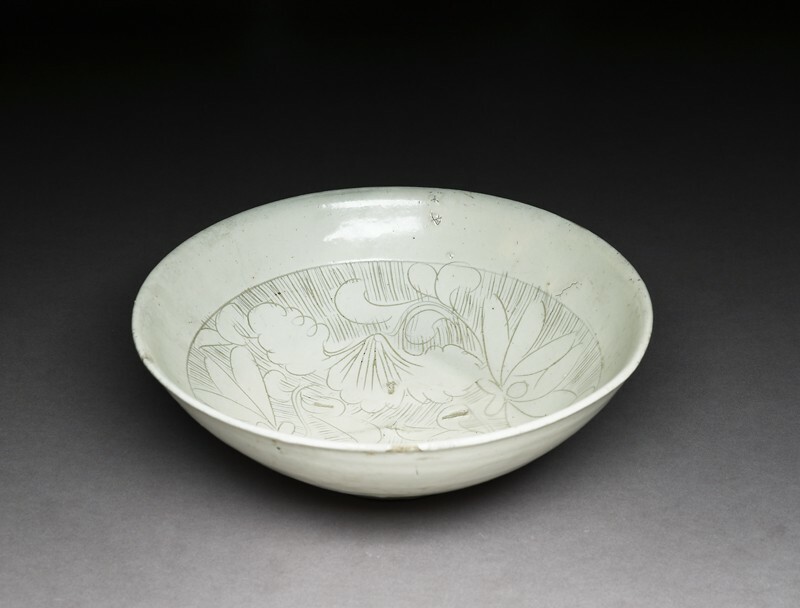 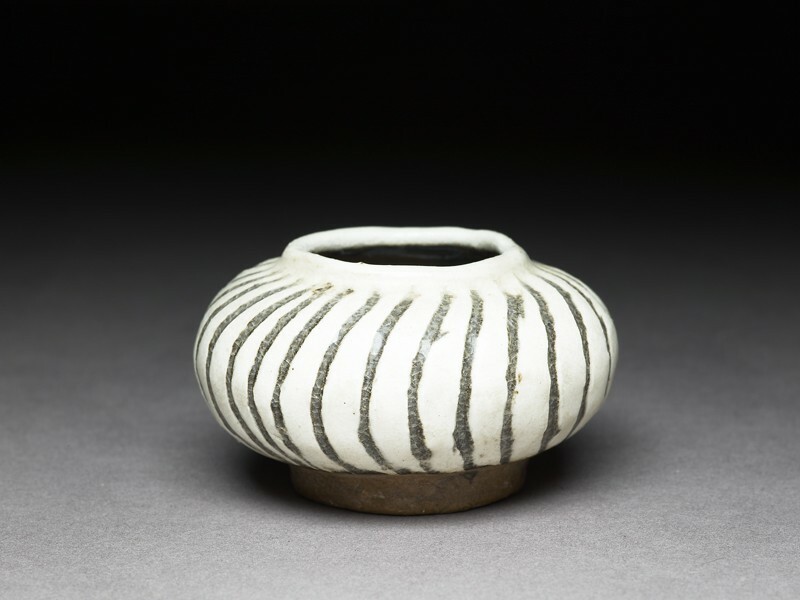 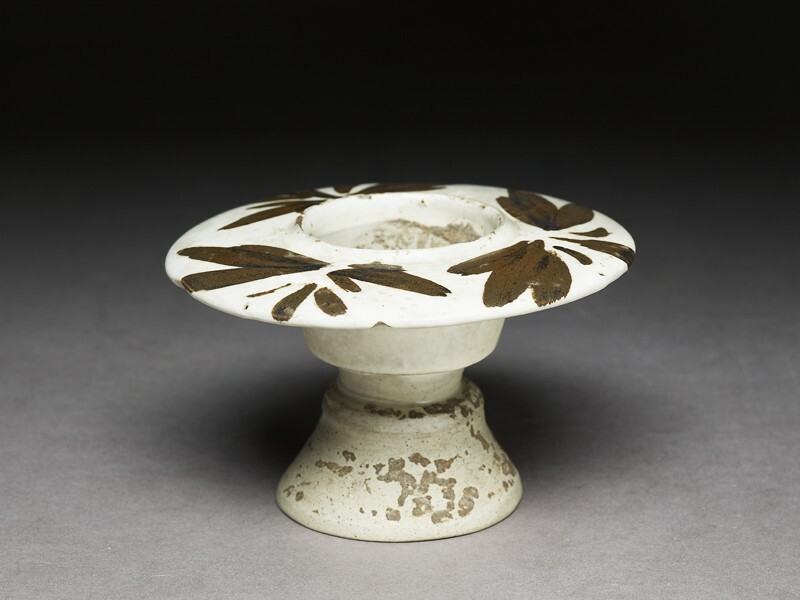 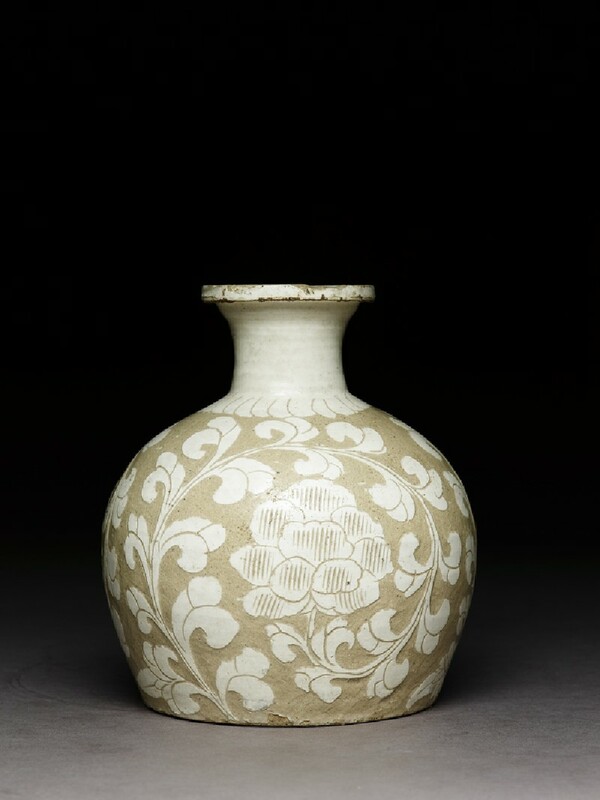 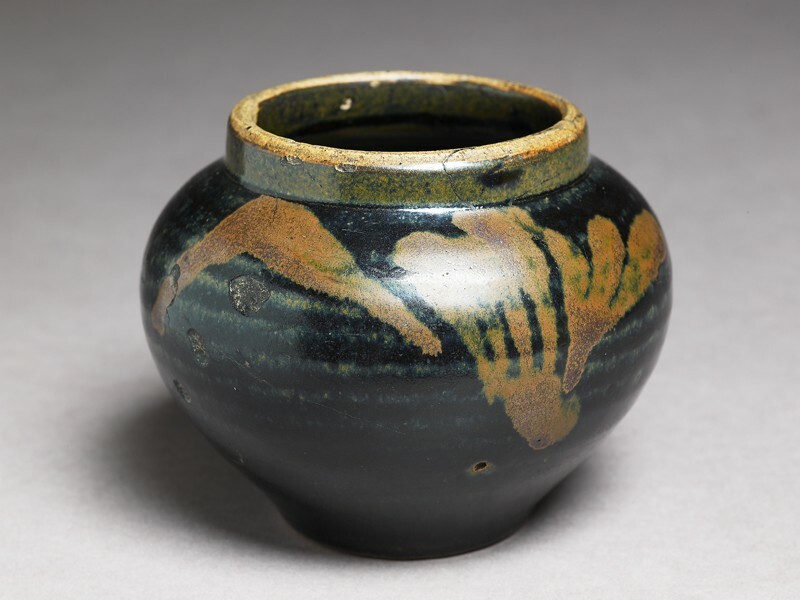 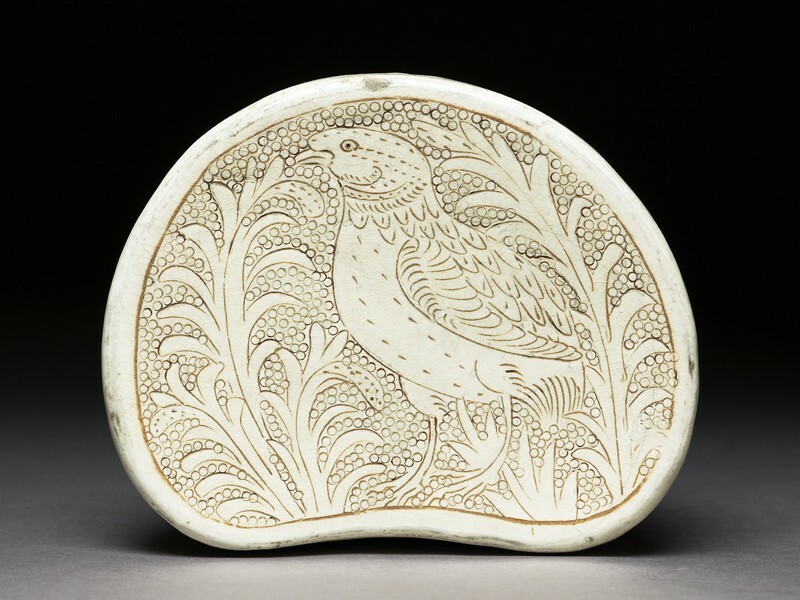 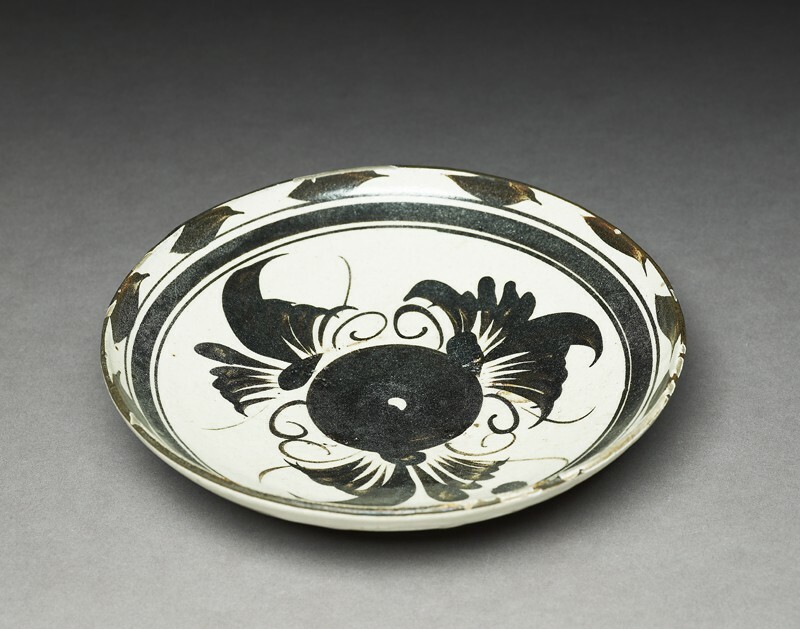 Black and white slips beneath clear glazes were painted, incised or cut away to produce a wide range of designs. 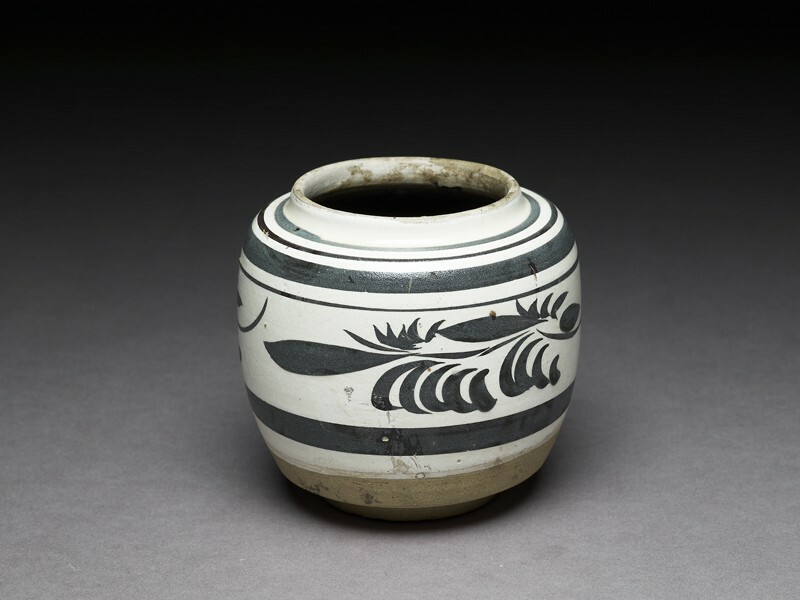 In the north the wares were functional pieces for daily use, neither exported nor placed in burials. 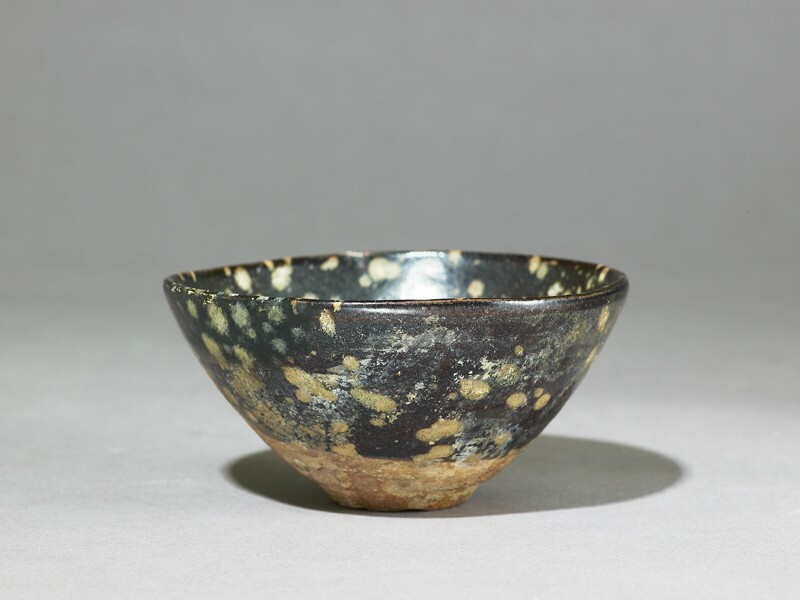 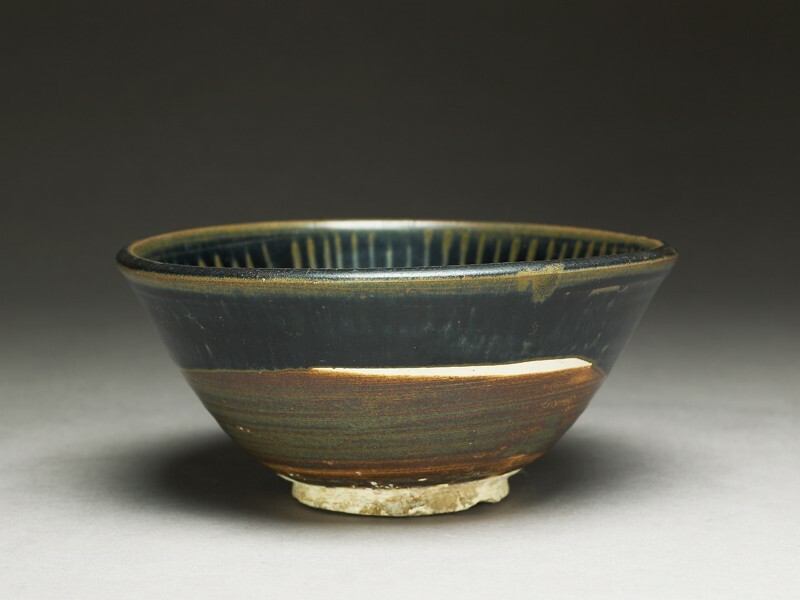 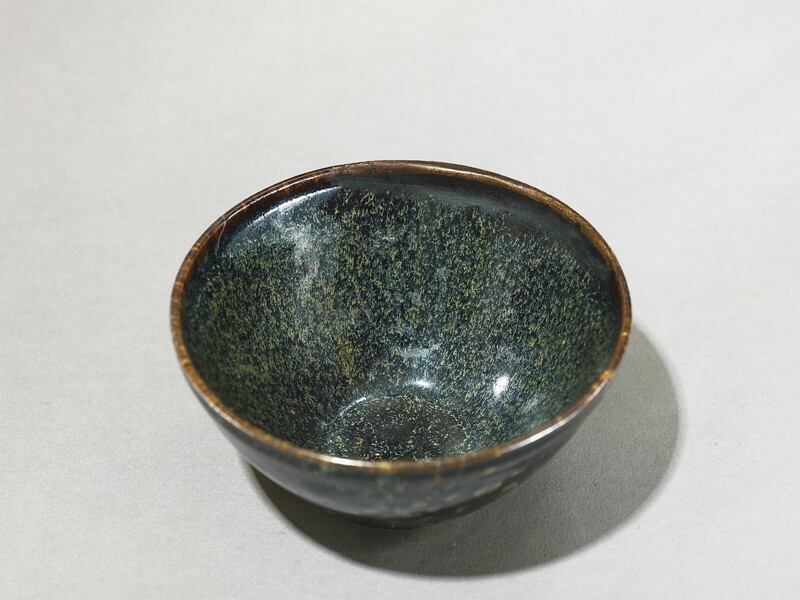 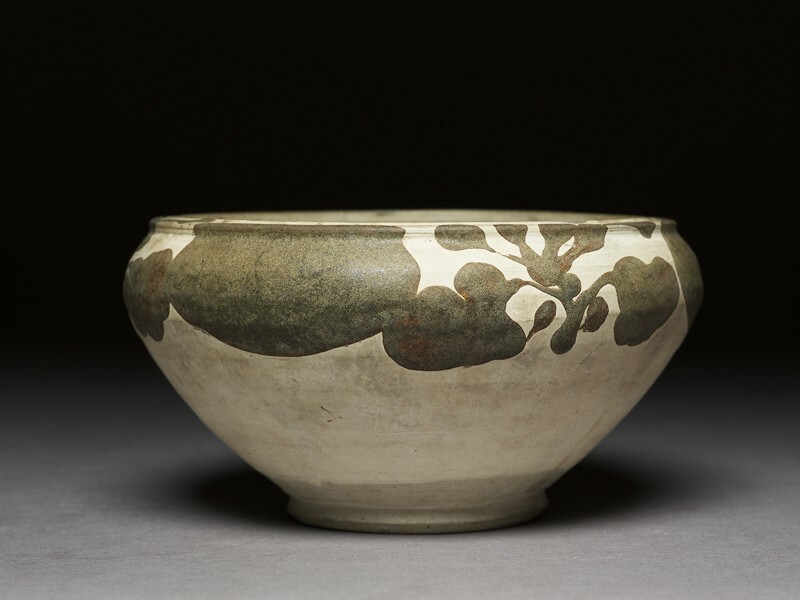 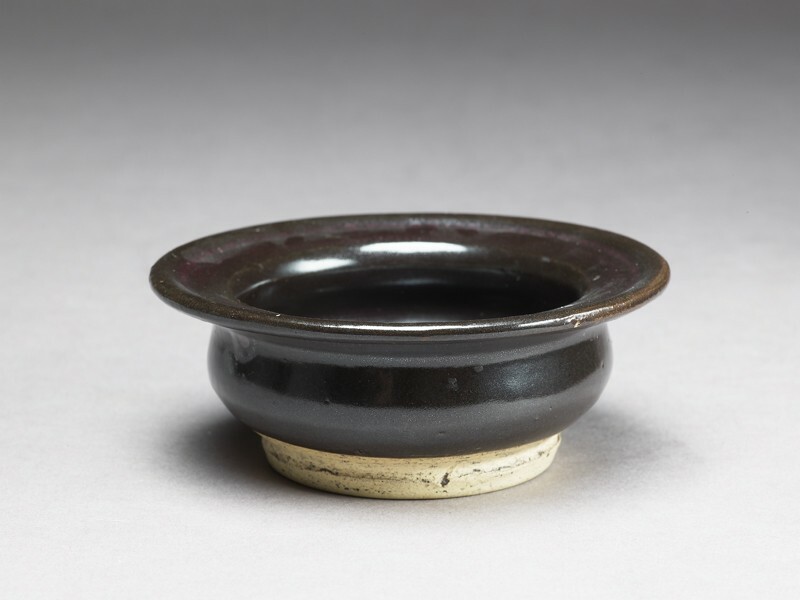 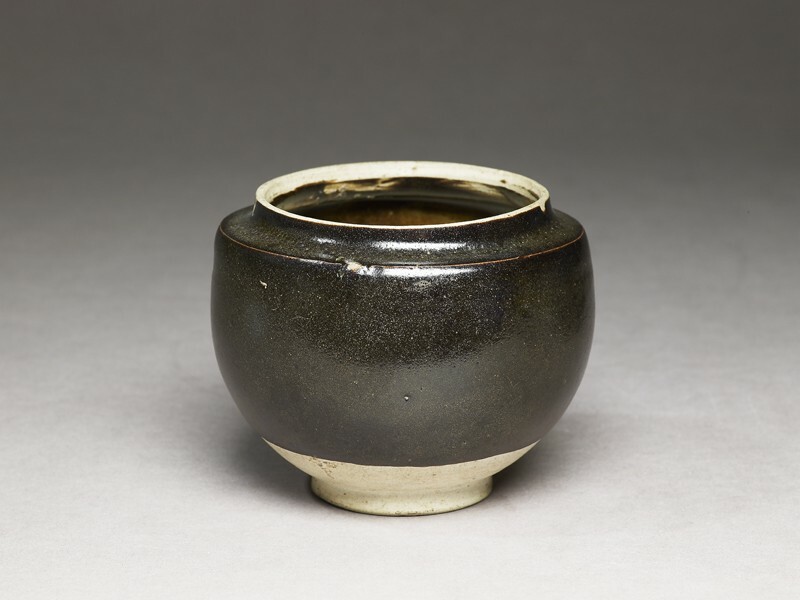 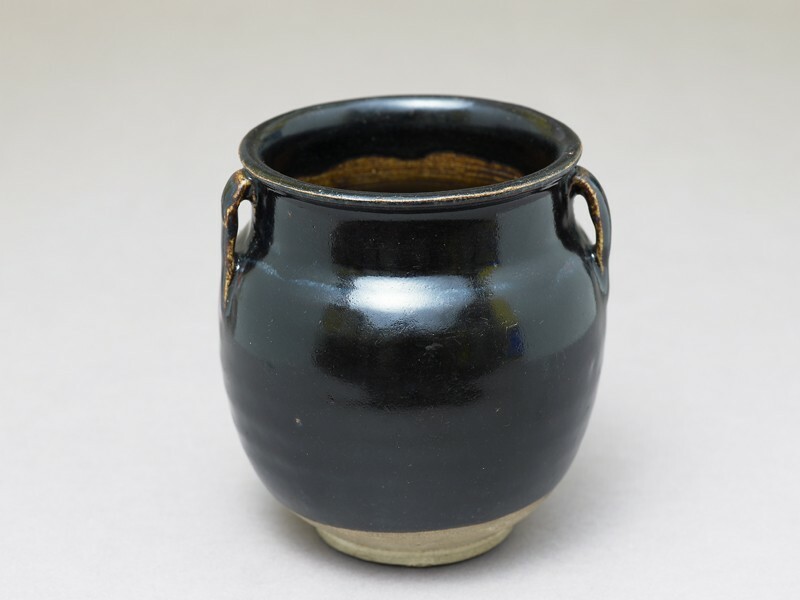 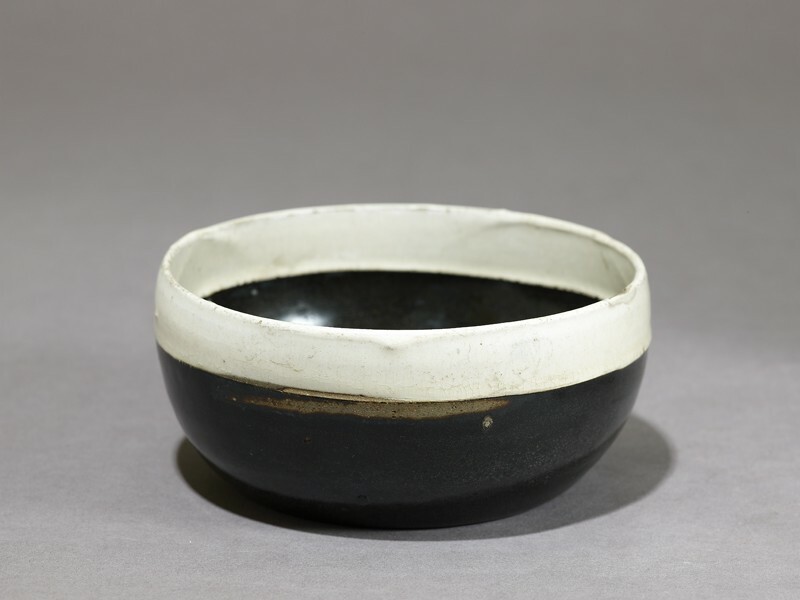 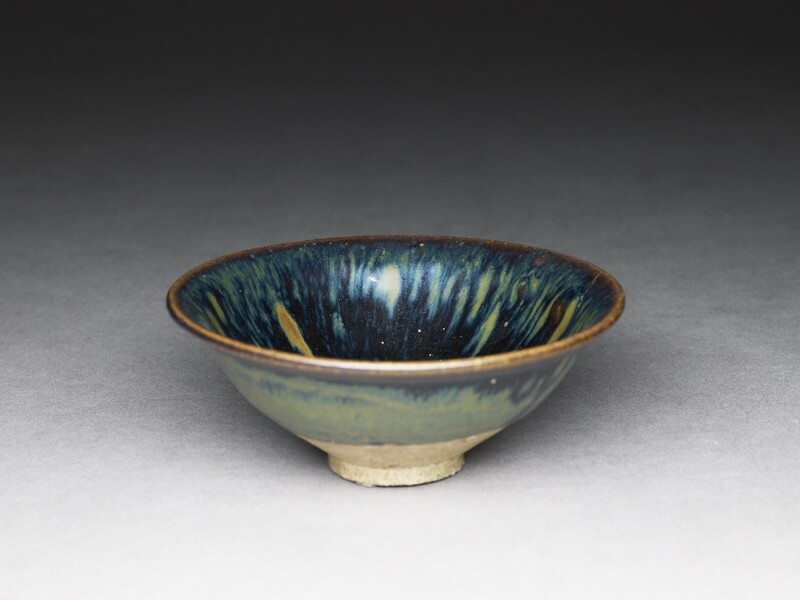 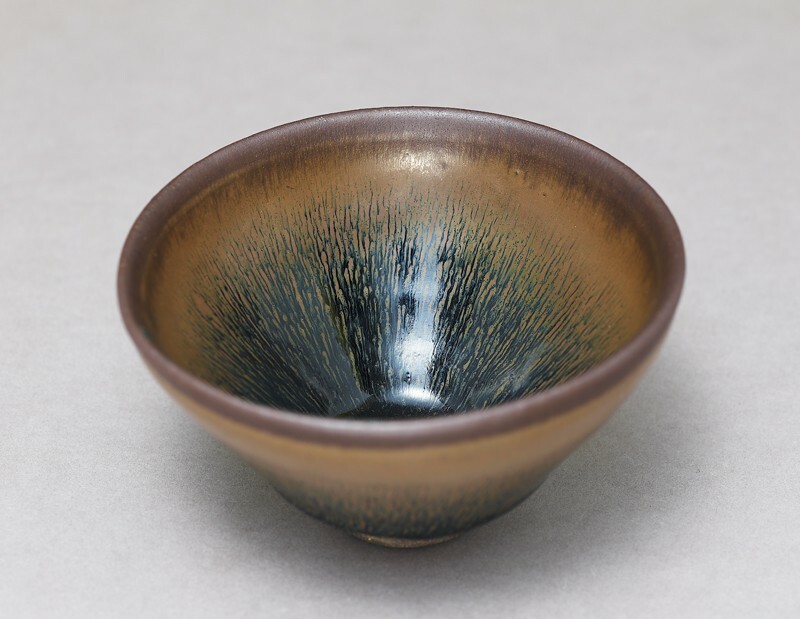 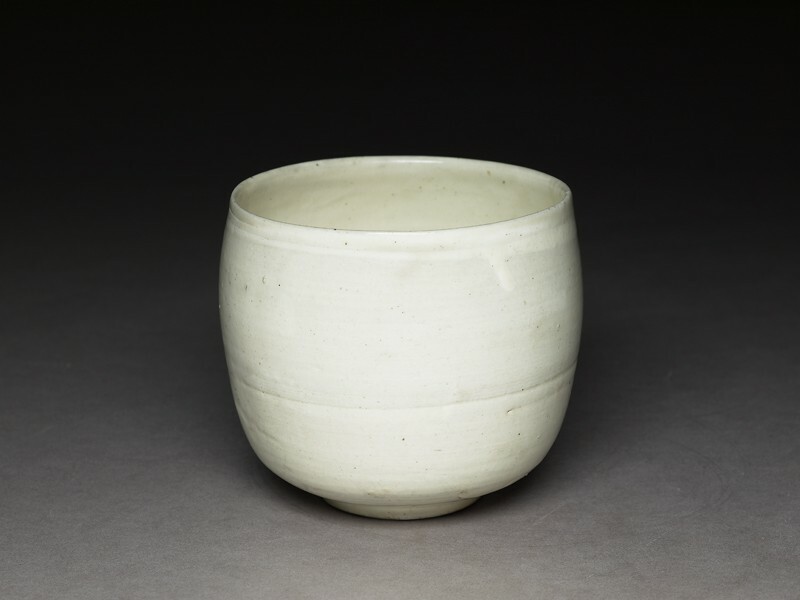 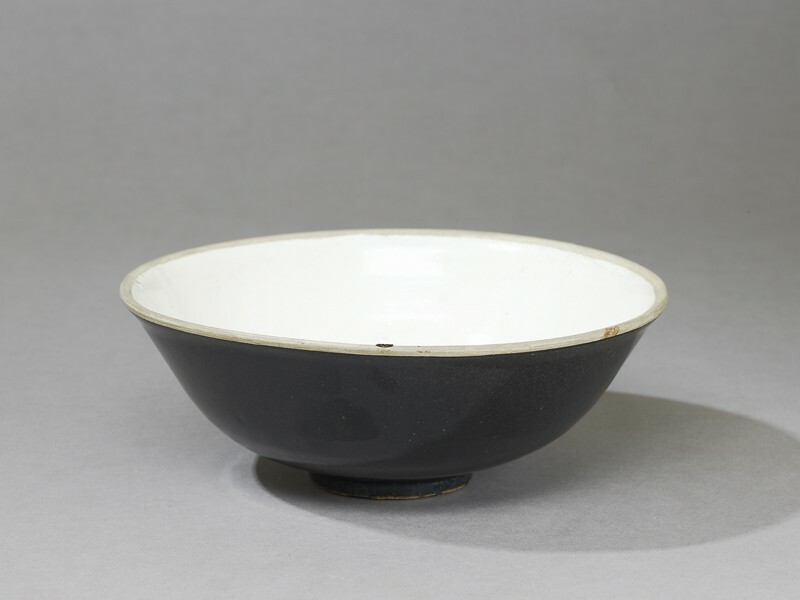 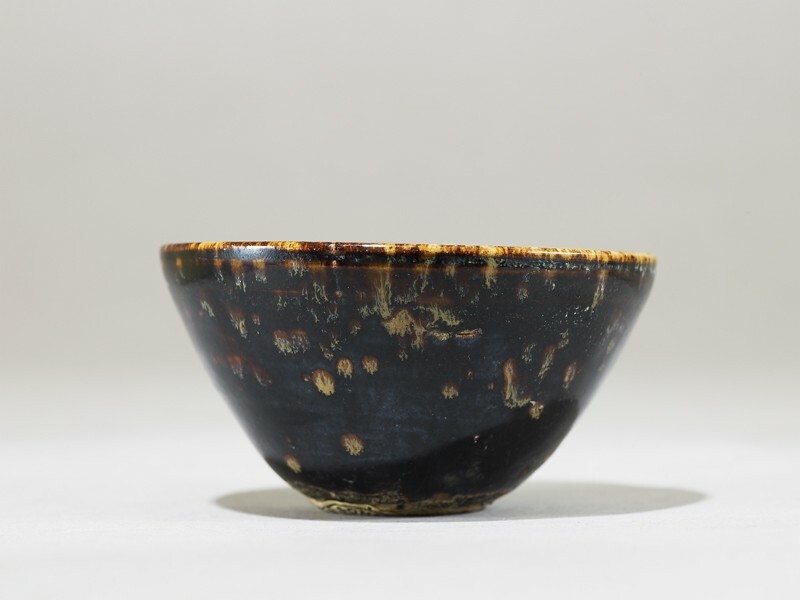 Black teabowls from the south found favour with the Song emperors and with Zen Buddhist monks visiting from Japan. 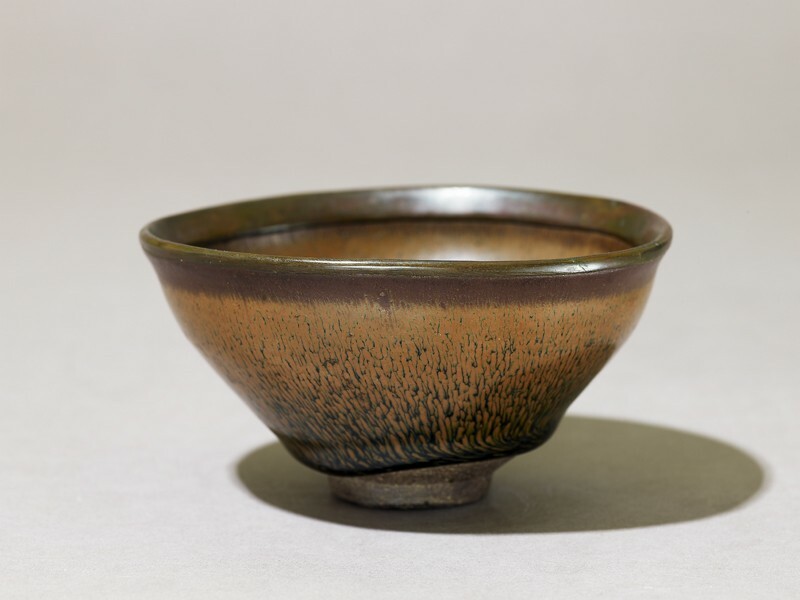 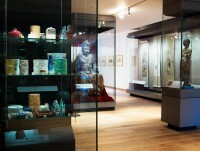 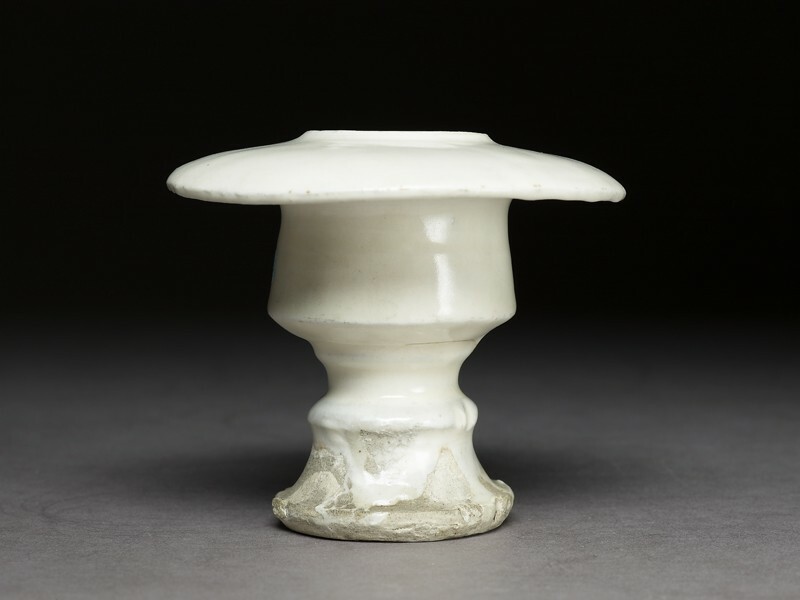 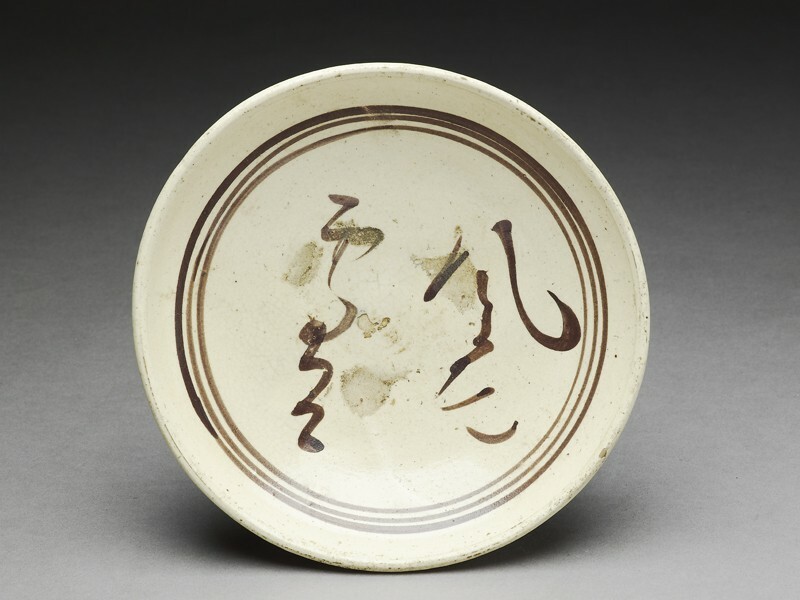 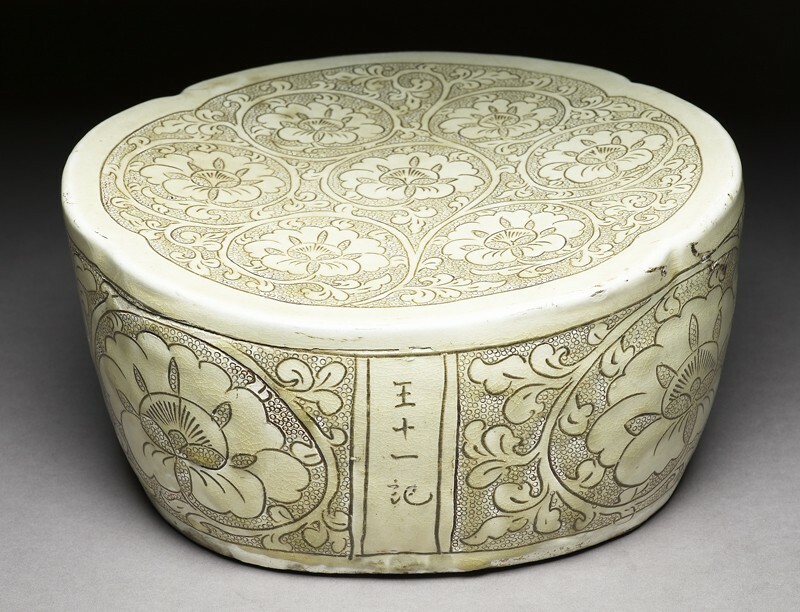 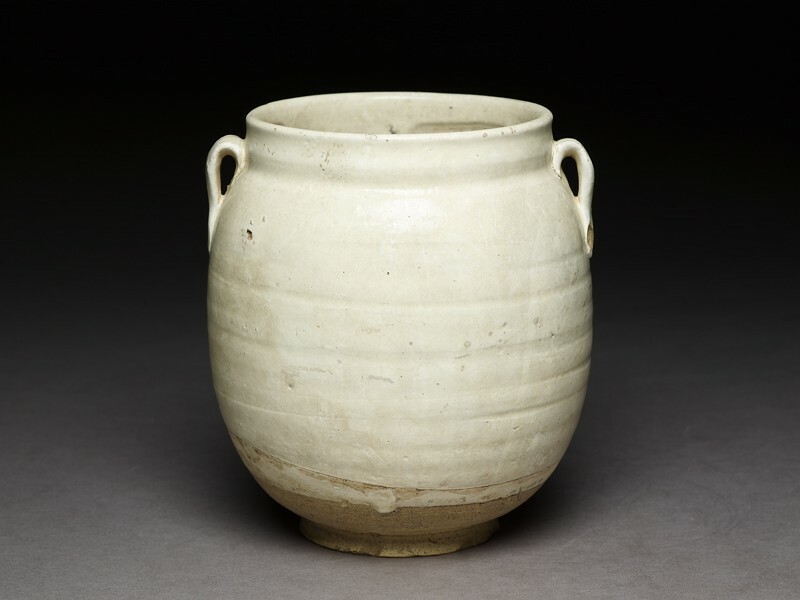 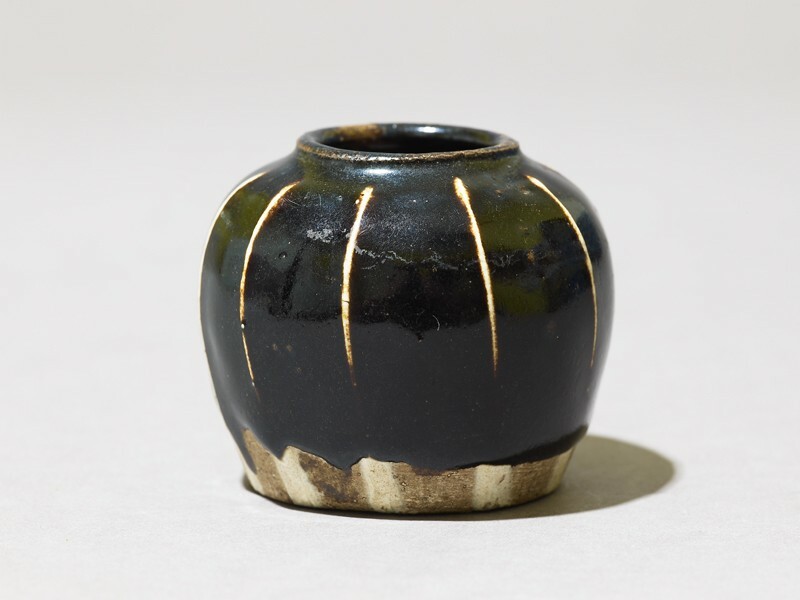 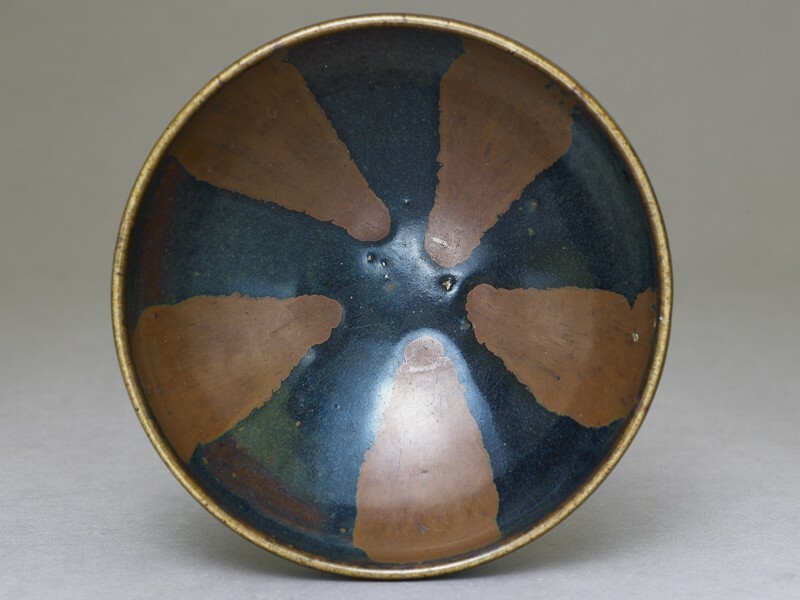 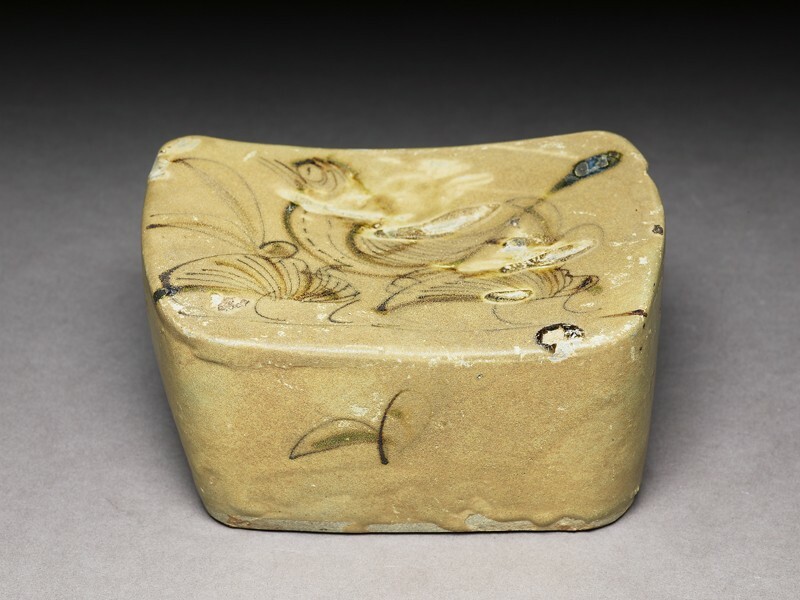 Along with lacquers they were collected, and influenced later tea ceremony wares. 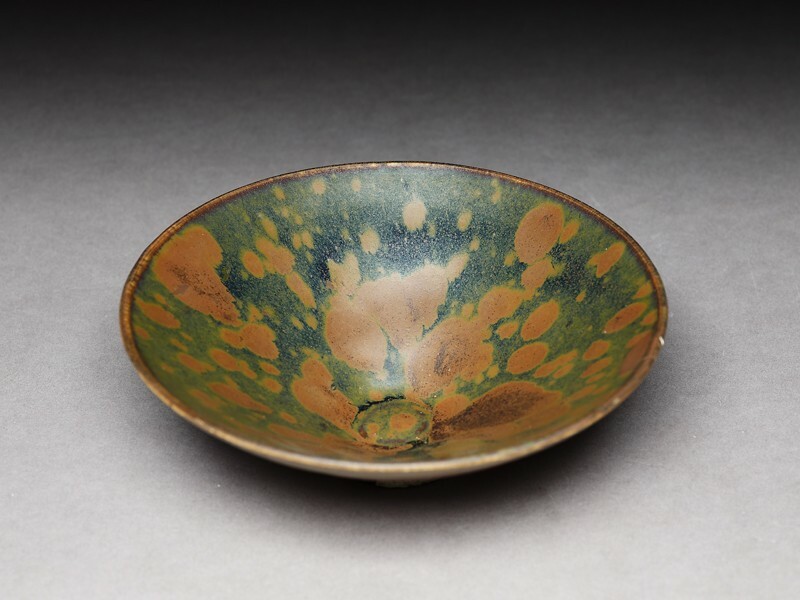 The test bars show lime and lime-alkali glazes, fired at 1200 and 1260 degrees celsius respectively, with increasing iron oxide contents. 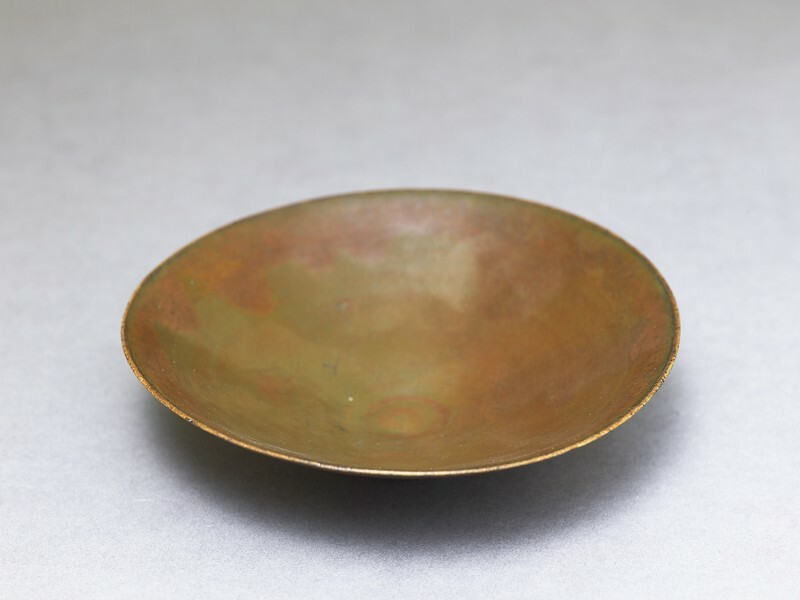 The iron content ranges from about 1% to 8%, with more iron giver a darker colour. 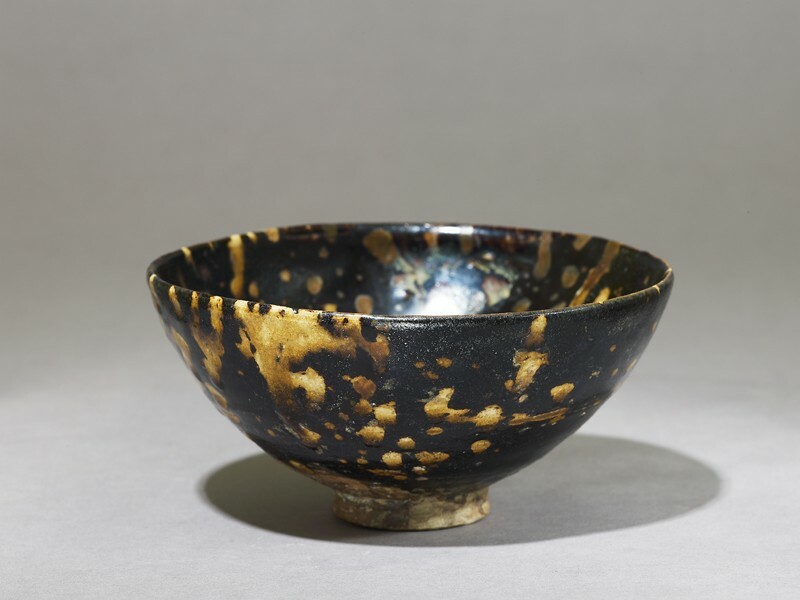 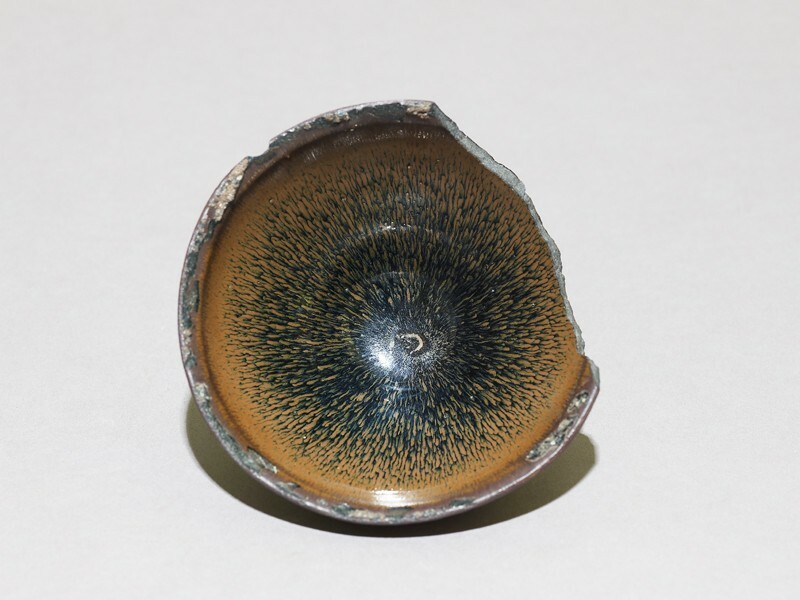 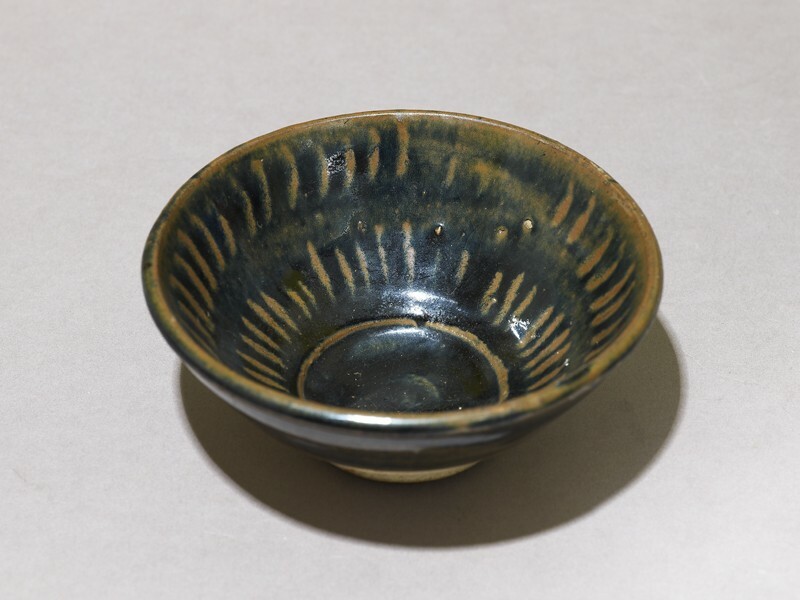 The yellow, brown and black glazes have all been fired in an oxygen-rich atmosphere. 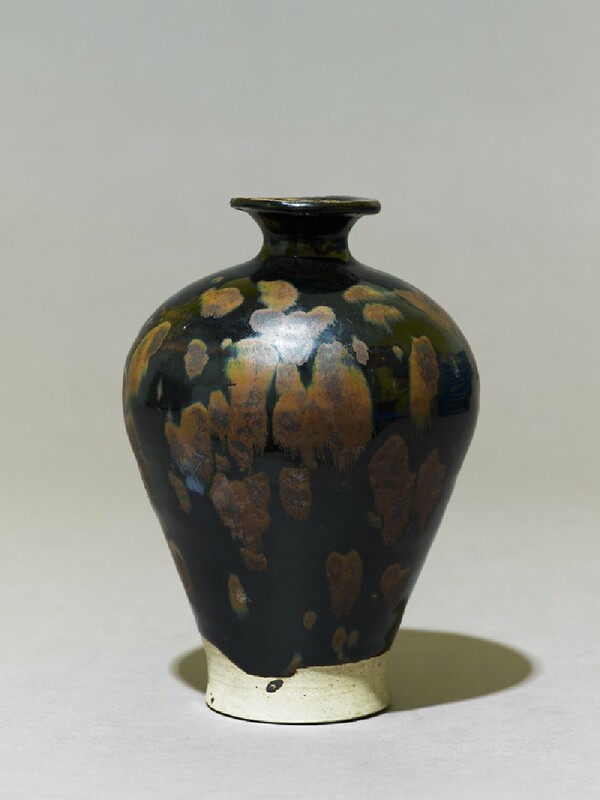 Oxygen-rich firing produces warm colours. 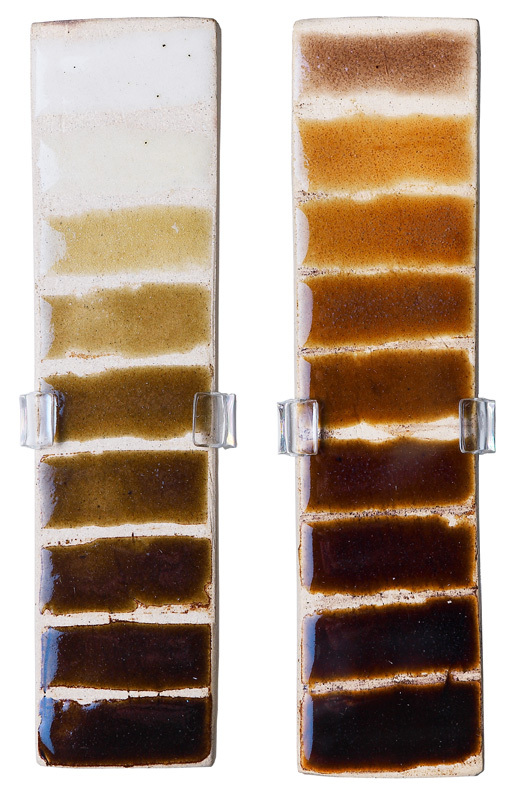 Two modern glaze test strips. 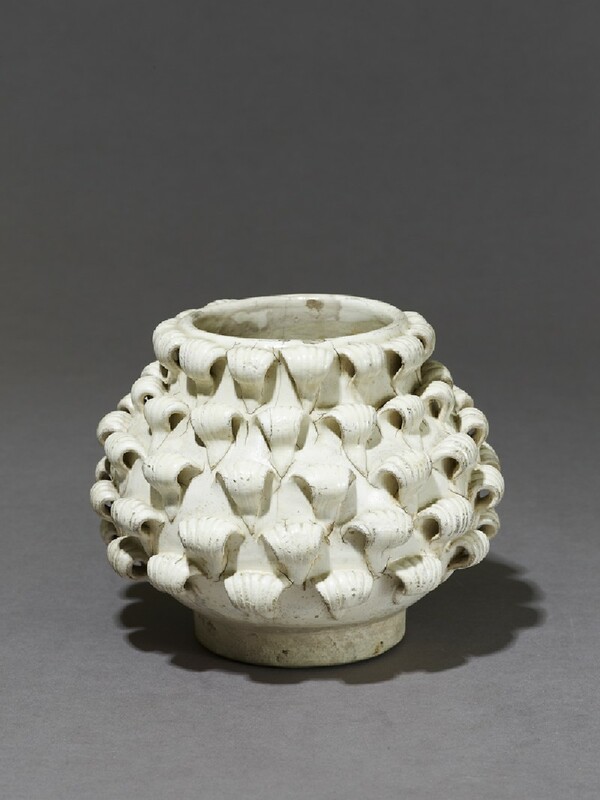 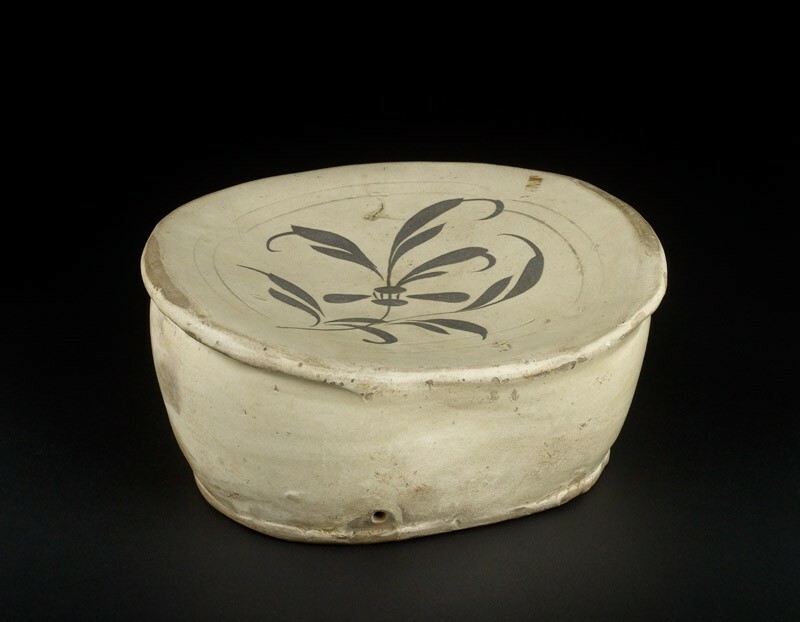 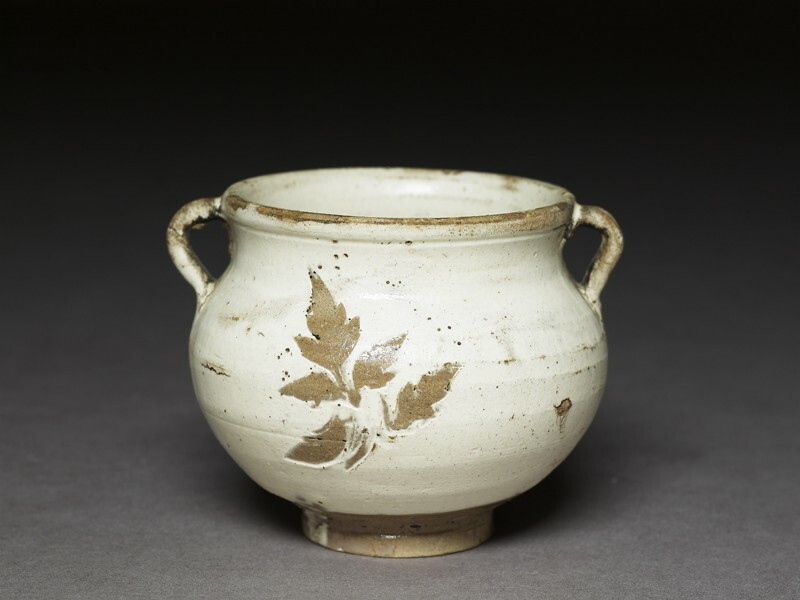 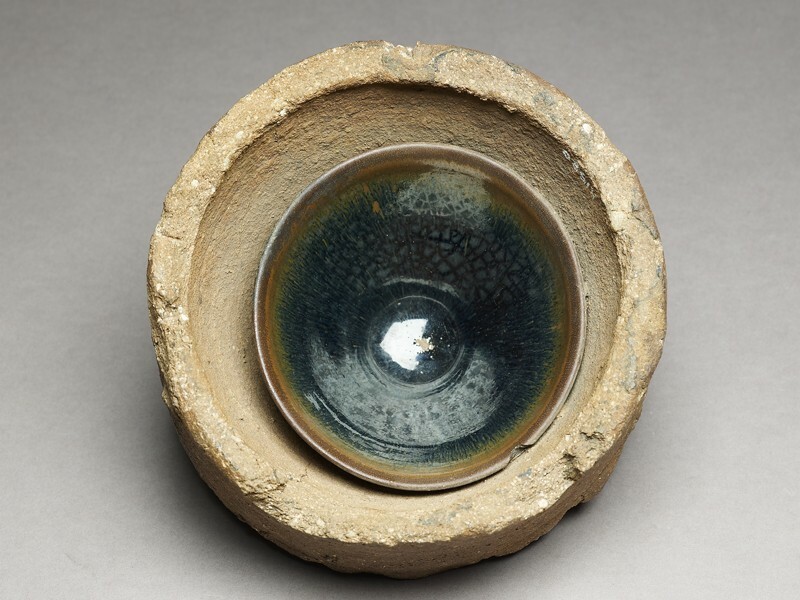 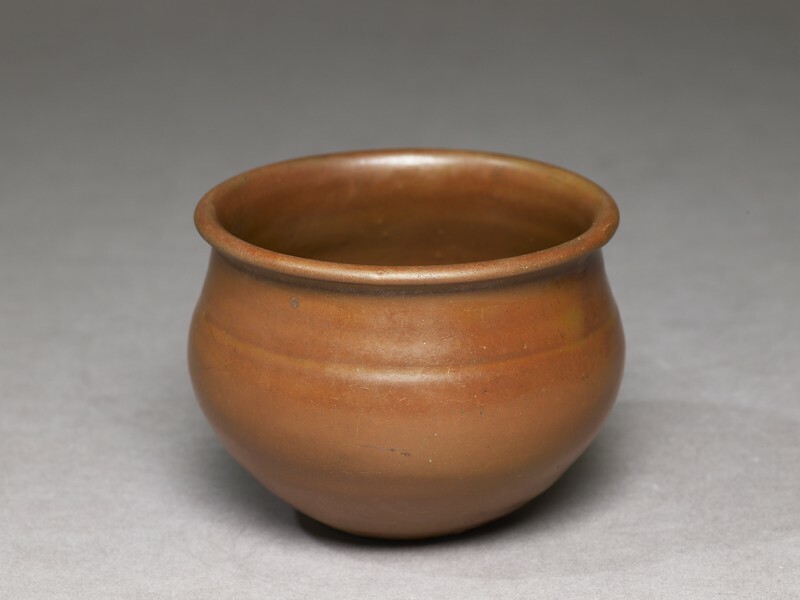 Bowls were fired in rough clay boxes (saggars) to protect them from ash and kiln grit during firing. 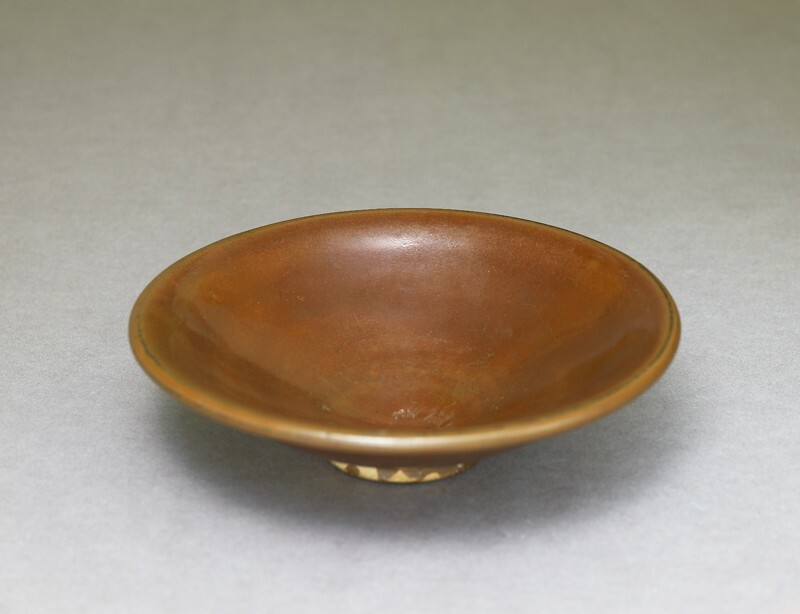 The bowls were not placed directly into the saggar but rested on a clay firing pad.